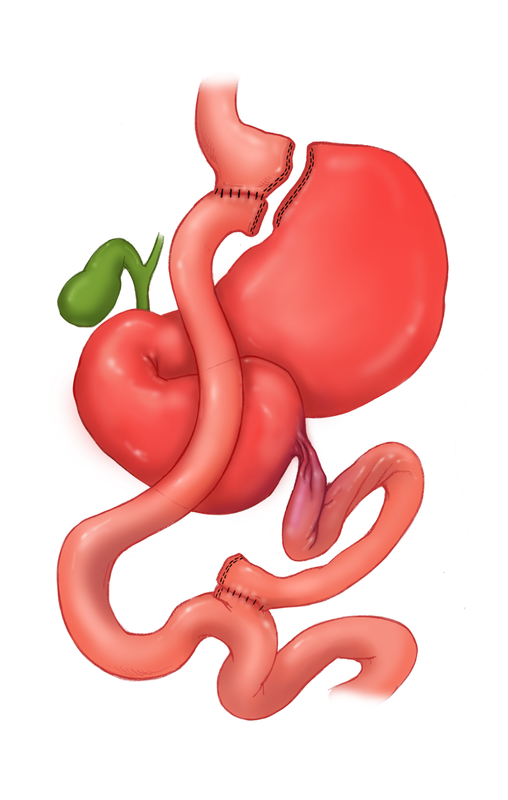 Most common bariatric surgery, most often performed laparoscopically. 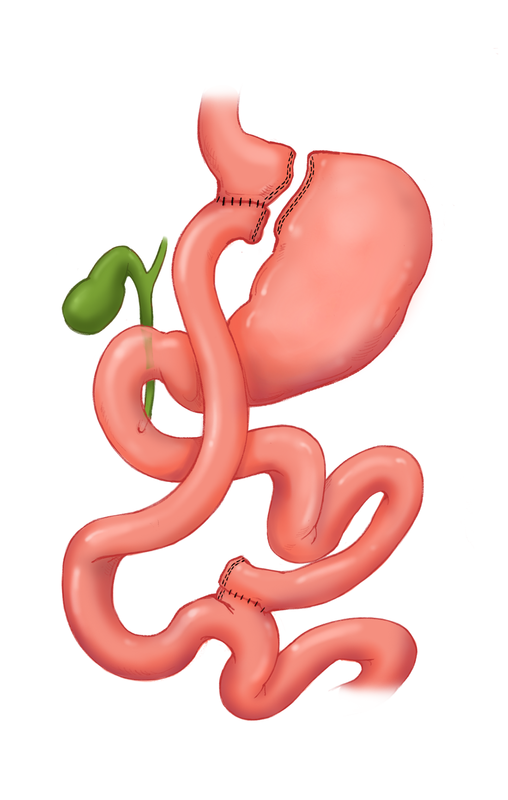 Division of the stomach by stapling into a small pouch and attaching this pouch directly to the jejunum, Roux limb. Weight loss is due to restriction and malabsorption. Similar to sleeve gastrectomy in terms of weight loss. Post prandial flushing, diaphoresis, palpitations, and diarrhea. 6-20 % develop stromal stenosis(less than 10 mm in diameter) at the anastomosis site several weeks post-op. 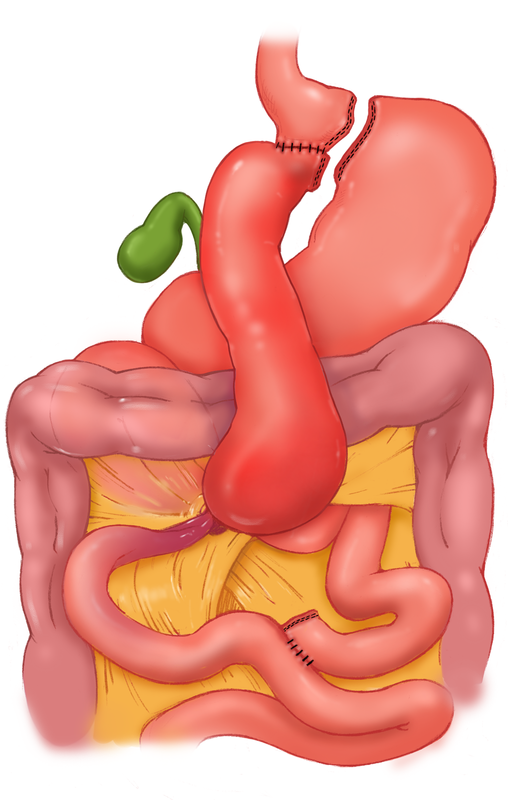 1-16 % develop marginal ulcers near the gastrojejunostomy due to gastric acid injuring the jejunal mucosa. Other causes include gastrogastric fistula, ischemia at anastomosis, foreign material such as staples, NSAIDs use, or H-Pylori. 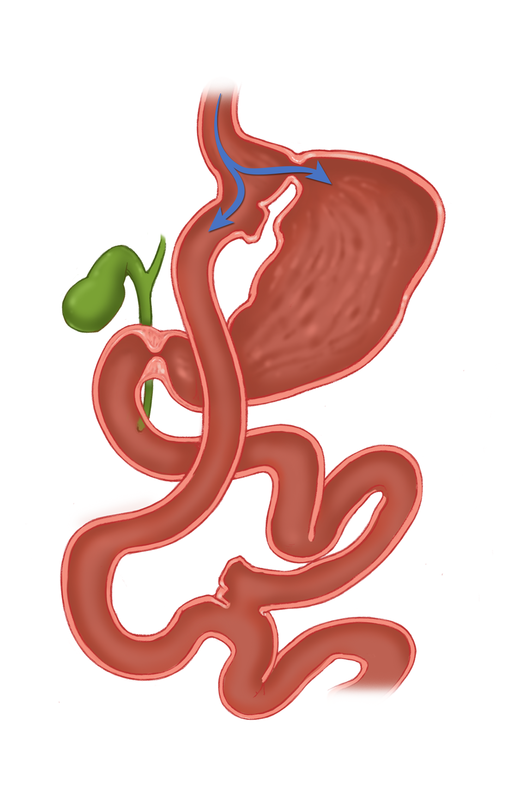 Cecal volvulus is an uncommon complication, with a few cases reported in the liturature. 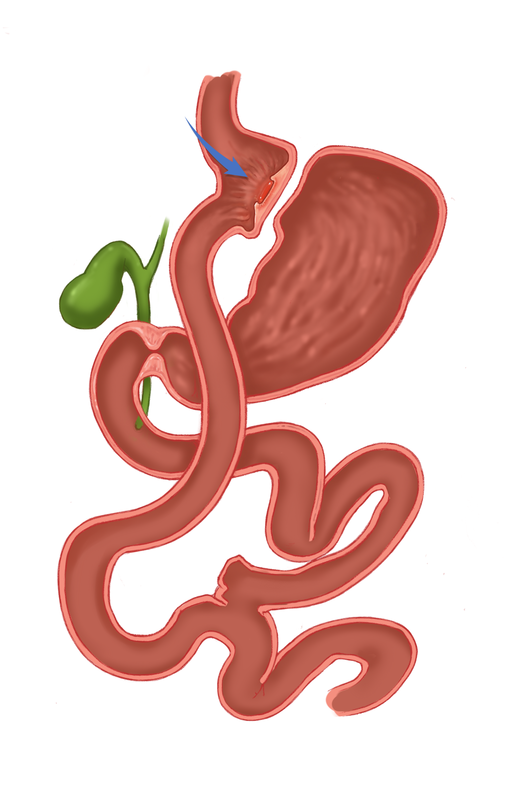 Associated with marginal ulcer and weight regain. Rare but potentially lethal due to rupture.